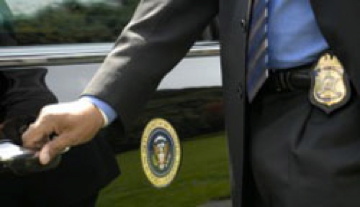 The Secret Service continued the process of reform by appointing its first chief operating officer. Good Morning America reports that George Mulligan, a former director of the White Military office, took the job. “George is a proven leader who will bring broad management experience, knowledge and initiative to the Secret Service as our first COO,” Secret Service Director Joseph P. Clancy said. The COO position was announced in March following the recommendation of an independent review panel charged with improving the Secret Service. The job places Millgan in charge of overseeing, planning and directing program activities. Mulligan comes from the Department of Defense, where he spent 29 years as both a senior civilian executive and a former naval officer. He most recently served as chief of staff to the Under Secretary of Defense for Acquisition, Technology and Logistics and Deputy director for the Washington Headquarters Services and Director of Enterprise management. In 2009, President Obama appointed Mulligan as the Director of the White House Military Office, where he worked closely with the Secret Service. Posted: 8/5/15 at 9:23 AM under Milestone, News Story.